Our most popular paint, Absolute Matt Emulsion is the classic finish for interior walls and ceilings. It’s a water-based, environmentally friendly paint and dries to an incredibly flat finish that exudes character. 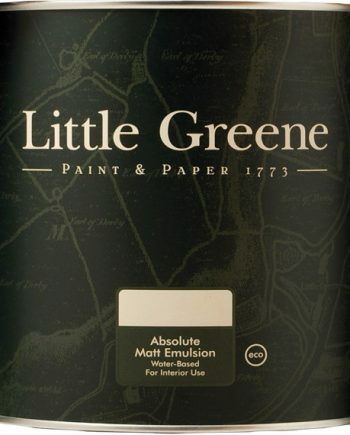 Little Greene Absolute Matt Emulsion 5 Litre is a popular Little Greene paint finish. It is the classic finish for interior walls and ceilings. This water-based paint dries to an incredibly flat finish. 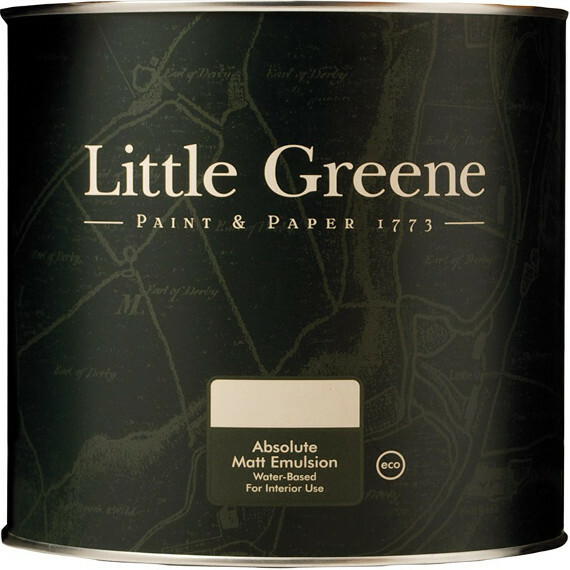 Little Greene also make Absolute Matt in a 1L can size which is great if you only have a small wall to paint. Try to use a good quality synthetic bristle brush of a size suitable for your project. New brushes should be conditioned first by washing in clean water and then dried. Avoid dipping your brush too far into the paint because you don’t want paint entering the ferrule if possible. And try to avoid drips and splashes by not overloading the brush. Apply the paint in even strokes. Extend your painting area so a wet edge can easily be maintained. For the highest quality appearance, keep final brush strokes running in the same direction. NEVER go over paint that has already begun to dry. For the complete advice and technical data on Little Greene Absolute Matt click here.